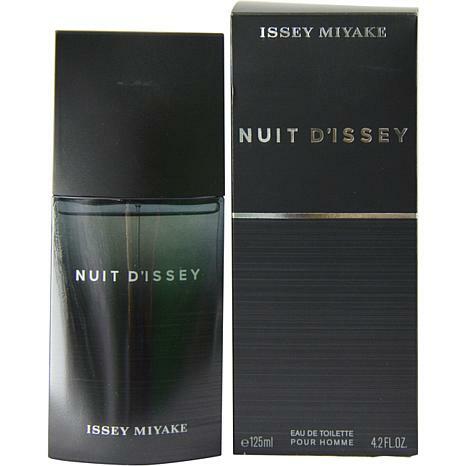 Leau Dissey by Issey Miyake Spray for Men 6.7 oz. Leau Dissey by Issey Miyake - EDT Spray for Men 4.2 oz. Launched by the design house of Issey Miyake in 2014, Leau Dissey Pour Homme Nuit EDT Spray 4.2 oz is a mens fragrance that possesses a blend of Bergamot, Grapefruit, Vetiver, Leather, Black Pepper Leau Dissey Pour Homme Nuit is recommended for casual use. This item may not ship to Alaska, Guam, Hawaii, Puerto Rico, or the Virgin Islands using a ground shipping method. Please select an air method when ordering this item for those locations. All Orders must also have a physical address and not a P.O. Box. Can't Keep the Wife off Me! This cologne smells awesome. You don't need alot to spray on. It stays with you and keeps your clothes and body smelling awesome. There should be no bad reviews about this cologne. It's awesome. Will be purchasing other scents under the same name. GREAT JOB ISSEY M! Too many places where wearing cologne is discouraged altogether. I still like & wear cologne but it must be mild. This one is loud, going back.